Spencer Platt/Getty ImagesA Whole Foods acquisition could give Costco a much-needed boost when it comes to tech. 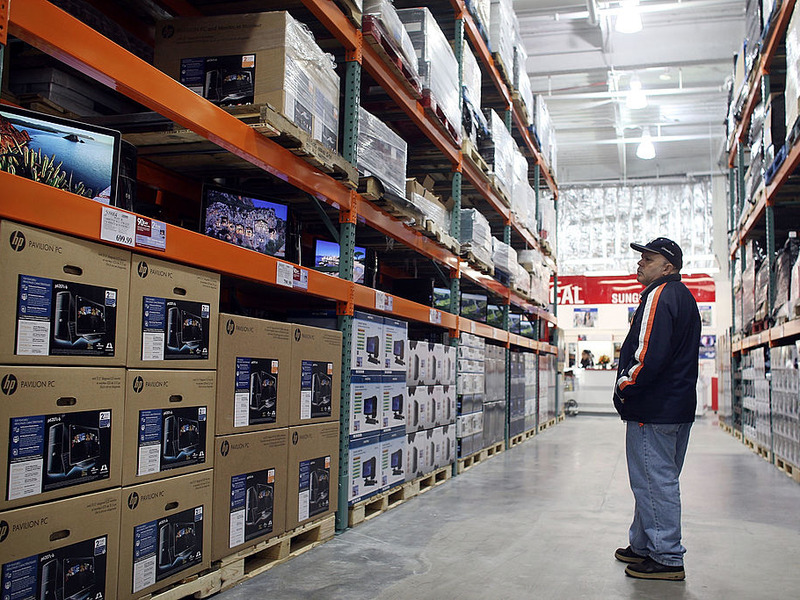 A Barclays analyst wants Costco to face off against Amazon in its bid to acquire Whole Foods. On Thursday, Barclays analyst Karen Short wrote in an open letter to Costco saying that it was time for the budget retailer to convince investors that it had a viable ecommerce strategy. While Short said that Barclays viewed Costco as a “best-in-class” retailer, investors, she wrote, have “bigger and longer term concerns” — namely, if Costco could keep up in an industry increasingly obsessed with online sales. “Investors are more concerned with how the Amazon/Whole Foods acquisition — announced on June 16th — will impact your business model 12 months from now than your ability to generate strong results for the next four quarters,” Short writes. Short offers a handful of solutions, the most drastic being that Costco should “seriously contemplate” making a counter bid for Whole Foods. “We believe you can offer substantially more than AMZN for WFM and still have it be accretive,” or increase Costco’s value, the letter reads. Other potential solutions include partnering with UK delivery service Ocado and accelerating non-grocery ecommerce efforts. “If this means hiring an external army of Silicon Valley techies — then so be it,” Short writes. Costco has long lagged behind the competition when it comes to online sales, something that has the potential to become a major issue with competitors’ ecomerce investments and Amazon’s Whole Foods acquisition. In the past, some analysts have considered Costco “Amazon-proof,” thanks to its loyal customer base and membership model — but, as Amazon grows its Prime membership numbers, these advantages may be shrinking.